How to process orders on Spocket? 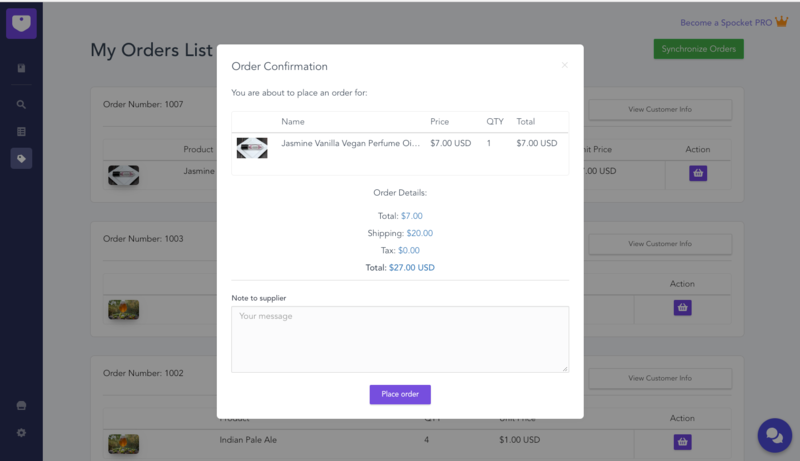 Learn how to process your orders in one click. Order-processing is simplified due to automation with Spocket, making it easy and hassle-free. As soon as a customer places an order on your Shopify Store, you will be notified via email. At this step, you should head over to your Orders Tab on the Spocket app. 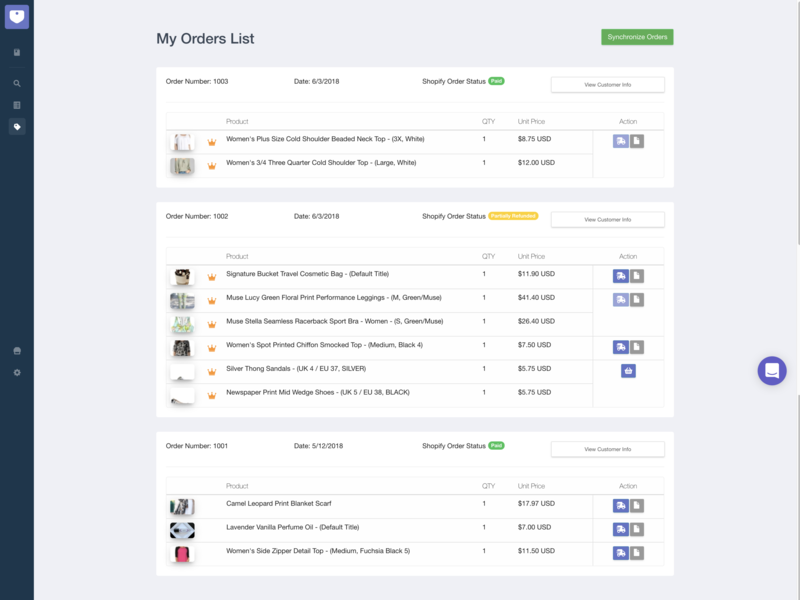 Spocket syncs with your shop and all your orders automatically appear on your Orders Tab. Here, click on the “View Customer info” button to view all the details of the order such as the customer’s name, the product and the customer’s address. The cost you have to pay to the supplier will also be displayed here. All other necessary information has already been entered and the order is ready to be sent to the supplier. When you click on the “Checkout” button, the shipping cost and taxes will be automatically generated with respect to the customer’s address. Here, you can add any notes/instructions that you wish to be delivered to the supplier from your side. Once you have placed the order, the supplier will be alerted to start fulfilling your order. You will receive an email confirmation regarding the order and the supplier will begin working to ship your order to the customer as quickly as possible. As soon as the order is out for delivery, you will be provided with a tracking number and will be able to trace your order on the Orders page. Click on the truck icon to track your package. Additionally, you and your customer will receive regular updates on the location and status of the order. This summarizes order-fulfillment with Spocket, an automated process that allows you to focus on your sales.